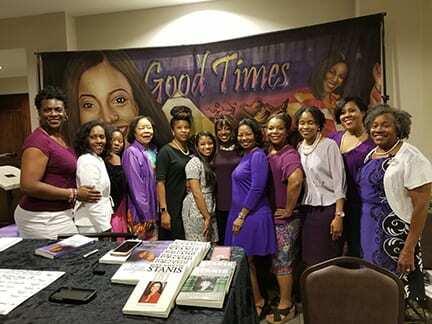 NASHVILLE, TN — It was a fun-filled and inspiring event during the ‘An Evening with Bern Nadette Stanis’ event at Lee Chapel A.M.E. Church. It was presented by Alpha Kappa Alpha Sorority, Incorporated, Kappa Lambda Omega chapter. The actress/author starred as “Thelma Evans” on the 70’s hit sitcom GOOD TIMES. The beautiful actress shared details from her most recent book entitled, ‘The Last Night, A Caregivers Journey Through Transition and Beyond,’ which profiles her walk as a loving daughter with her beloved mother who was diagnosed with Alzheimer’s. Ms. Stanis is also a celebrity spokesperson for the National Alzheimer’s Association. 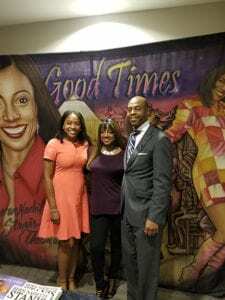 l-r; Leah Dupree, Bern Nadette Stanis and State Rep.
her battle with Alzheimer’s for 8 years,” shared Bern Nadette shortly after autographing books for a long line of fans. She devotes much of her time touring to help share information about Alzheimer’s awareness, care, and preventative measures. “I believe this is something that I will be doing until the end of time or until a cure is found for this dreaded disease,” she says. 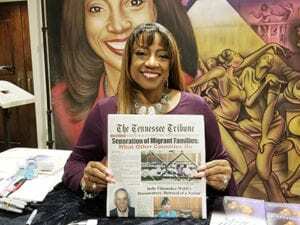 When Bern Nadette is not doing book tours or writing, she also does personal appearance visits to the U.S. military troops, which she says are big supporters of her foundation. Throughout her travels, Ms. Stanis is constantly asked about the possibility of a Good Times reunion project. She says, “Something is going to happen with a reunion project. People really want to see it and I’m going to help with writing the script,” she revealed. Bern Nadette further adds that after this year she will be returning to Hollywood for some new projects which her agents have been discussing with her. Fighting With My Family Starring Dwayne Johnson Coming to Theaters Soon.